Poly High School student Matt Kempfer joined students from throughout the nation during the Martin Luther King, Jr. weekend in Washington D.C., where he delivered a speech on climate change. The trip was organized by Action Civics LA, an initiative of Mikva Challenge. This nonpartisan, nonprofit organization is committed to developing youth to be informed, empowered and active citizens and community leaders. Kempfer won the trip to D.C. through the American Soapbox video speech competition. Action Civics L.A. asked contestants to “get on their soapbox” and tell the next president about an issue that affects their community, and opportunities to address that issue. 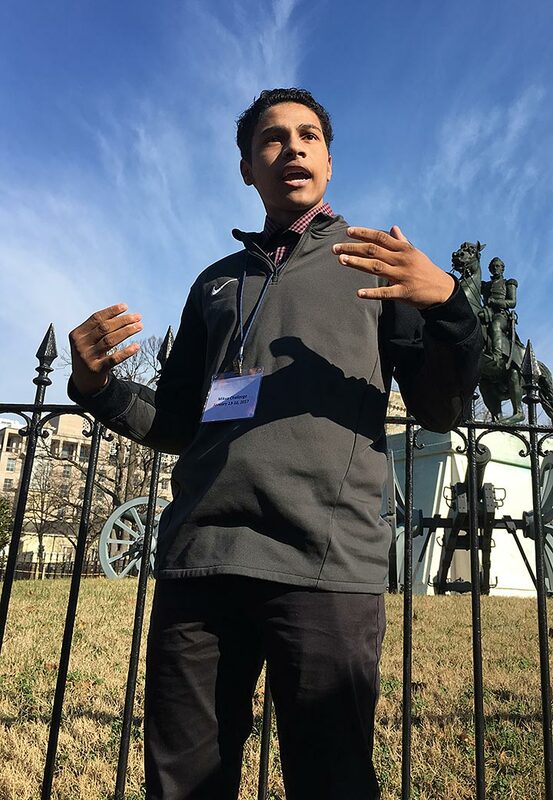 The Poly student, who was one of just four students representing California, delivered his speech in front of a national audience including fellow students at Lafayette Square across from the White House, and he participated in a youth summit discussing community issues and concerns with local community advocates and activists. 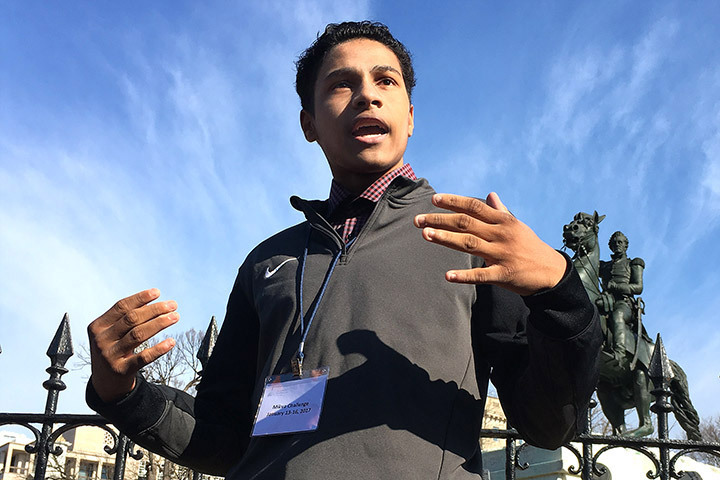 SPEAKING OUT – Poly High School student Matt Kempfer speaks to a national audience at Lafayette Square across from the White House. He earned the trip to Washington, D.C. where he delivered his winning speech on climate change. “We (in America) only contain 5 percent of the world’s total population, yet we emit 33 percent of global carbon emissions, and that’s just not right,” Kempfer said.